Welcome! Be free in your mind. The Quarantined is Sean Martin (Vocals/guitar), Alex Diaz (bass), and Serge Martinenko (Drums). Welcome to the center of it all, to celebrate the bands' accomplishments and share in the rise of the next generation of punk rock, grunge, and rock music. 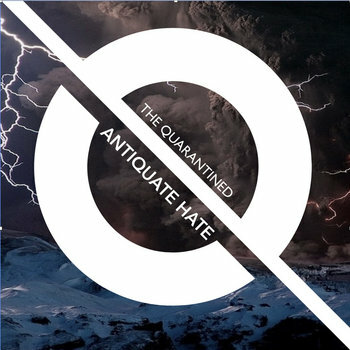 Our commercial debut EP, Antiquate Hate, produced by legendary Multi-Platinum, Multi-grammy winning producer G1 Archie, is available now on Itunes, Spotify, Google Play and other streaming services online. Sean has released an 8-part blog series, Music in the Digital Era, about one musicians journey into the music industry, as he discovers how one begins with nothing and builds something from nothing. The Quarantined is releasing more Music videos -- click here for our YouTube. In 2016, The Quarantined was nominated in the 15th Independent Music Awards for our Lyric Video for "The End?!"! We were proud to be a part of such a great expression of Independent Music, and celebrate with all of the nominees and winners! Here's to another year supporting independent music!